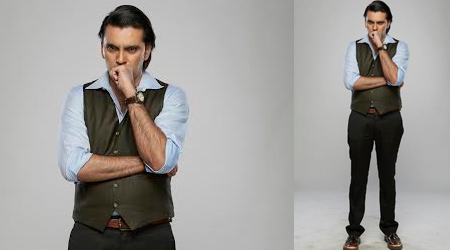 Vinod get duped by a conman on Sahib Biwi Aur Boss! Excitement levels at Sahib Biwi Aur Boss will be at an all-time high as Sunny and Anisha will be faced with yet another obstacle. A conman named Mr. Merchant approaches Vinod and convinces him to give him one lakh rupees, which he will double in no more than two days. Vinod soon realizes that he has been duped when he doesn’t hear from Mr. Merchant. Sunny and Hari who hear about the incident and Hari tells the two of them that he knows the man, as he visits his shop regularly. Soon Sunny, Anisha, Vinod and Hari come together to hatch a plan to trap Mr. Merchant, without letting Mandodari get wind of it. As a part of the plan Anisha befriends Mr. Merchant where she meets him at Hari’s shop and hands him a fake business card. Mr. Merchant who lands up at the office address mentioned on the card gets conned when he overhears Anisha and Dilip ji’s plan of selling the property worth 50 lakhs in 10 lakhs because of an emergency. He offers to buy the property for the fixed amount without catching their bluff. Will Anisha’s plan work? Will Vinod get his money back? Yuva Bhaskar: Vinod get duped by a conman on Sahib Biwi Aur Boss!